Put your printed material to work for you. It's not just about having a brochure or business cards or any printed material that has your company information on it. It's about is that printed material working for you, is it getting noticed, is it getting the correct message out about your company, plain and simple, is it enticing customers to buy? 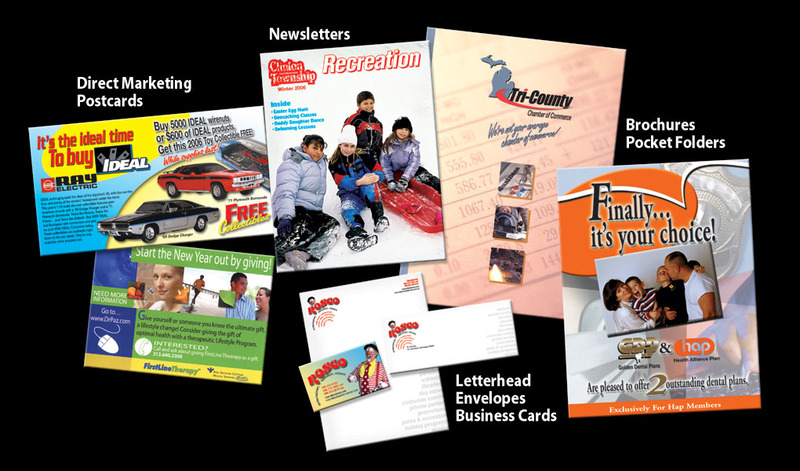 Paw Graphics can develope your printed material from start to finish on time and with in your budget, even the mailing of it. Perhaps you are currently using a printer you like, but they do not offer graphic design services, or maybe you would like another point of view beside the designers they have on staff, consider Paw Graphics to consult with your printer, we currently provide graphic design and consulting services to many printing companies.